Olacabs provides different types of cab service ranging from economic to luxury travel. The cabs can be reserved through a web browser or amobile app. This cab service supports both cash and cashless payment options with Ola money. It claims to clock an average of more than 150,000 bookings per day and commands 60 percent of the market share in India. Now comes the main thing which is Referral Code. Using this code you will earn Rs 50 free Ola Money instantly. 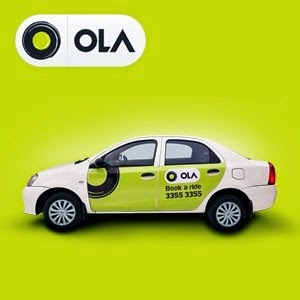 Apply code : APP50, and get Rs.50 off on your first cab ride booked via the Ola mobile app. Rs 50 Off on 1st cab ride booked on the APP. Apply coupon code APP50 while booking on the app to avail offer. Not Applicable for customers with OLA Money. Not applicable on Kaali peeli and auto rides.